For this year, we decided to provide not only an update on the current situation in terms of looting and cultural heritage, but also focus on the continuous cultural exchange between archaeologists and the communities they work in. We wanted to find out just what the situation is like in the Near East and how archaeologists are coping working with the local community. How are local communities affected by the work of archaeologists and how can archaeological missions benefit from increased exchange and contact with the area they work in? Our first speaker, Dr. Monica Hanna from the Arab Academy of Science in Aswan, took us on a wind thrill ride through various sites in Egypt. Since completing her PhD in 2010, she had been very active working in culture resource management in Egypt. 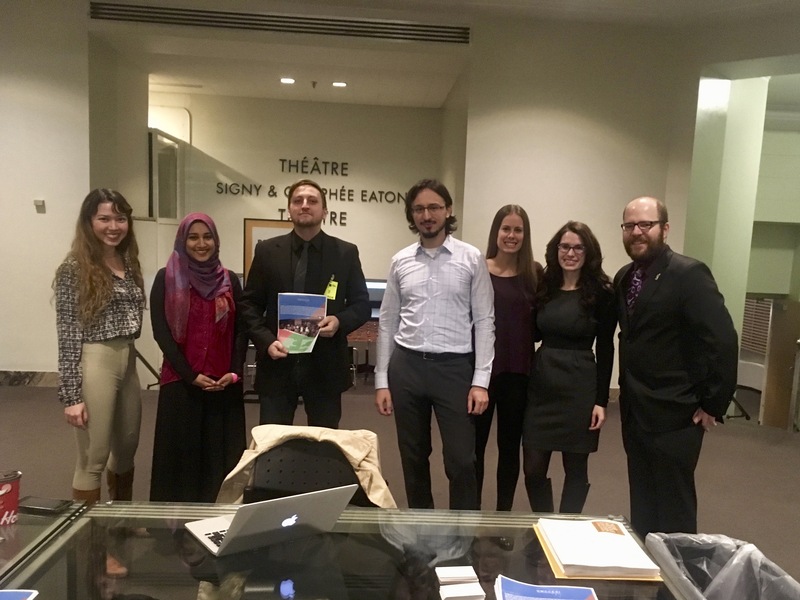 Completing then her Post-Doc at Berlin on the interchange between the local and archaeological community, she focused on the village of Qurna on Luxor’s west bank for her case study. 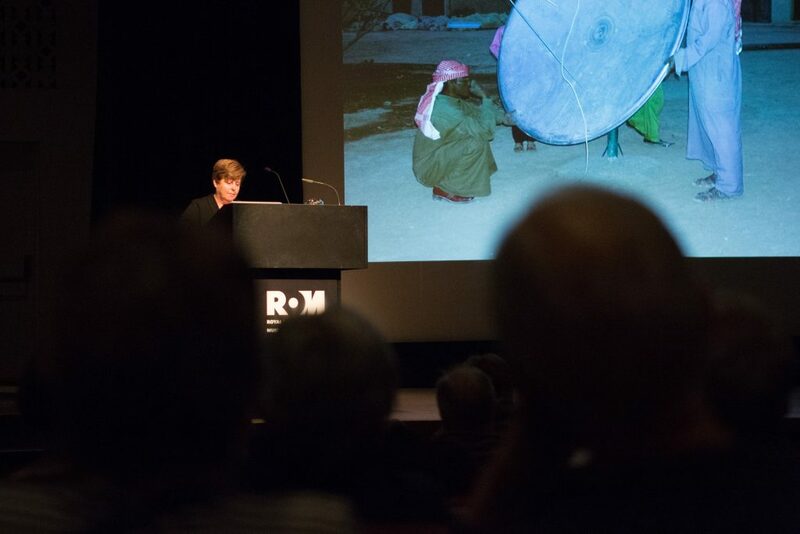 After the 2011 uprising, she returend to Egypt documenting the looting and loss of cultural heritage. This work resulted in her being the recipient of the prestigious 2014 SAFE Beacon Award. In the news, we hear continuously about the destruction that Daesh leaves behind. Many sites in Syria and Iraq are in a state of danger and some have been be destroyed (e.g. Nimrud, Hatra). Egypt, it seems, has escaped these dangers as we do not hear about the horrors that go on there. Dr. Hanna’s talk changed that. 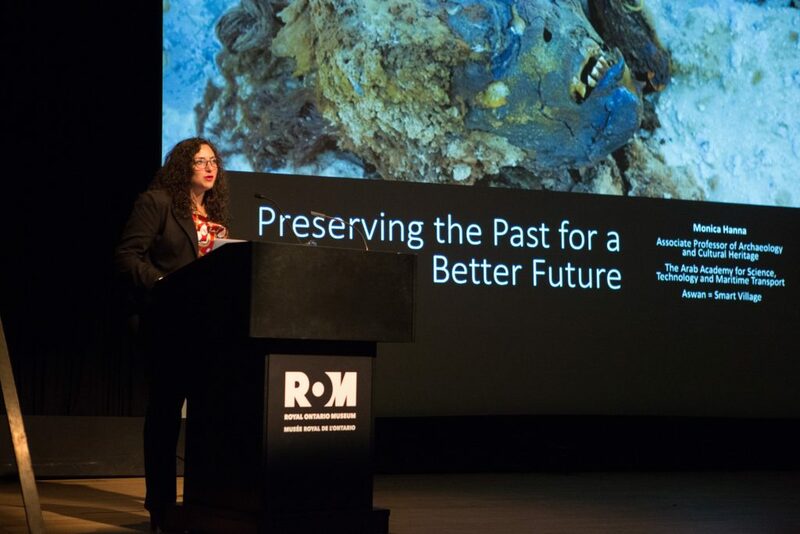 She demonstrated just how far-reaching and enterprising gangs and individuals are in taking over archaeological sites and digging for treasure. 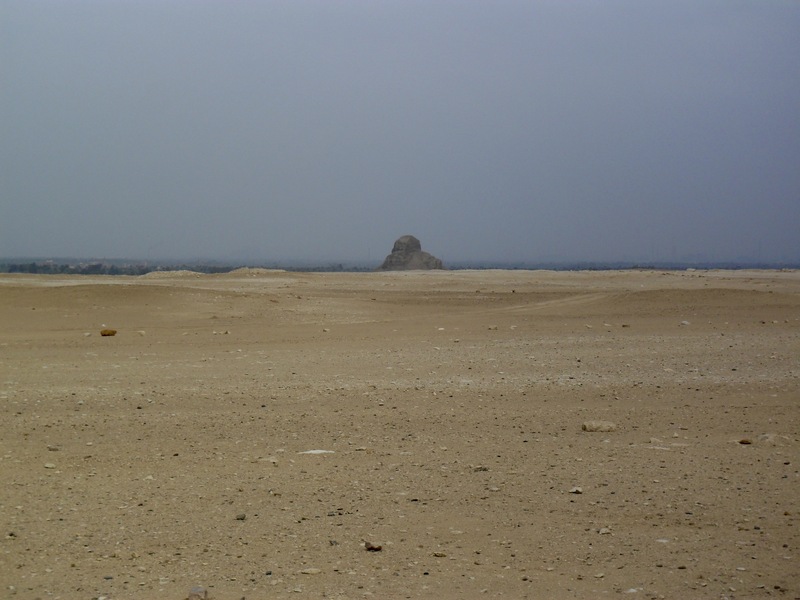 A cemetery of the nobles near the Black Pyramid of Amenemhat III at Dahshur saw a huge spread in illicit digging following the 2011 uprising. Pits were dug, treasure unearthed – after all, this cemetery of the nobles came from what many consider to be the peak of ancient Egyptian civilization: the 12th Dynasty. She then spoke about building projects that would impede on an archaeological site. Modern cemeteries in particular were often placed on ancient locales – their removal being nearly impossible to bring about due to presence of a buried deceased. The most horrifying example stems from her discussing the destruction of the Mallawi Museum following the internal conflict in mid 2013. The museum was attacked, looted, nearly destroyed. Display cases over turned, mummies tossed to the ground, burned. Yet, it was not all doom and gloom. 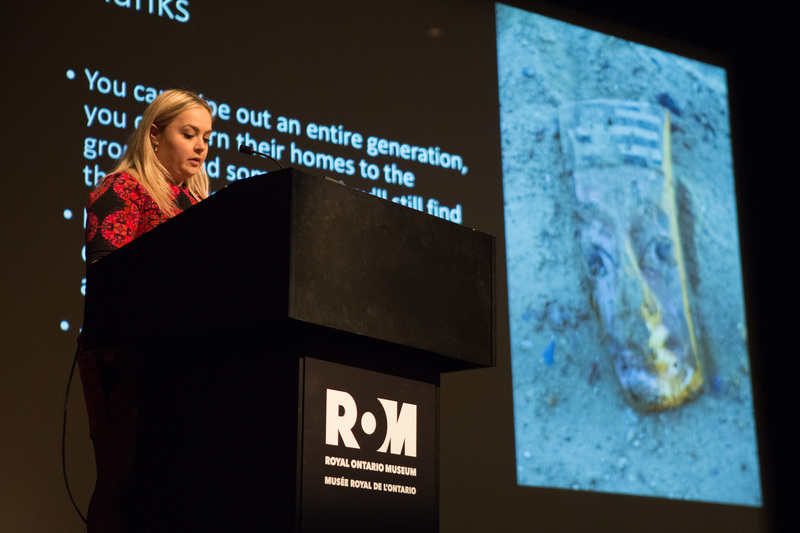 In her efforts to document these travesties, she founded Egypt’s Heritage Task Force, an online platform on Social Media, which listed these instances. She was able to bring together groups of volunteers at various sites, which vowed to protect the sites. Of course, right after the 2011 uprising, we heard reports of groups of Egyptians holding hands and creating a ring around the Egyptian Museum in an attempt to stop any illegal entry to seize objects. The takeaway message from her talk was that the local community has to be educated and engaged with about their cultural heritage. She lamented that hardly any Egyptological publication is available in Arabic because most scholars only publish in English, French, or German. Missions, while employing the local work force, should do more to engage with the local community – only this can bring about the safety of Egypt’s antiquities for posterity. Our next speaker, Dr. Anne Porter, told us about living for a few years within a small community on the Euphrates near the recently completed Tishreen Dam. Dr. Porter completed her PhD at the University of Chicago in 2000 and has been active as an archaeologist mostly at the site of Tell Banat with expertise on the 3rd millennium BC. Currently, she works in the Department of Near & Middle Eastern Civilizations the University of Toronto. Having excavated at Tell Banat since the late 1980s, Dr. Porter told us about the few years she spent living at the site. The ancient settlement is found within the confines of the modern village and the latter was designated to be moved with the pending construction of the dam, which was to flood the entire area. Not only been actively engaged in rescue excavations to study as much of the site as possible, Dr. Porter worked first-hand with the local population as their homes were right on top. She told us just how beneficial it was the local community was involved in her work, how they learned as much about the history of their area as the archaeologists did. Once the local community was aware, when they came across any antiquities in their own yards, they would quickly call the archaeologists to investigate the context. In one case, parts of a building were found to lead directly beneath a mosque, but of course further work toward this area was halted. Nevertheless, the local population was not fazed by this work as they had to cross over wooden planks across the excavation to get to the mosque at one point. It’s this close relationship to the local community, which benefitted the mission many cases. After several years, the point finally came, when the village residents had to pack up and move all their belongings as the waters started to come with the completion of the dam. Some groups of the village ended up only moving to the edge of the newly created lake, continuing their life. Yet, for Dr. Porter, her work resulted in a beneficial relationship with the local population. We are as grateful to hear about the work of our experts as we were to fundraise for the NMC-CESI. 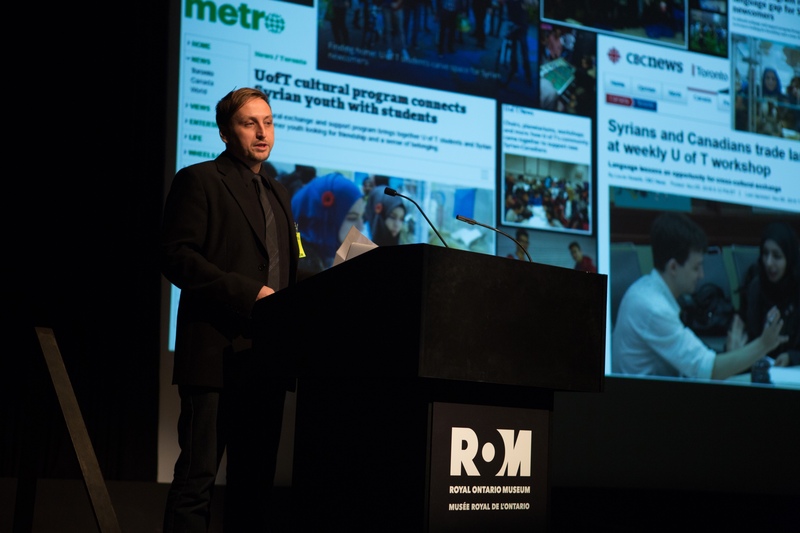 In the very beginning of the event, Robert Martin introduced the initiative and showed how it positively affects the youth of incoming Syrian refugees that have come to live in Toronto. Of course, students within my department are uniquely qualified to meet with them as many of us speak Arabic. While the youth learn English in a diverse range of programming, our volunteers get an opportunity to practice Arabic. It is a very productive relationship, which has made it easier for the youth and their families to feel welcome in Canada. Through our event, we were not only able to bring attention to this initiative, but we are delighted to report that we have raised more than $700 in support of NMC-CESI. Mabrook! Dr. Monica Hanna is very active on Twitter and her profile can be found at @monznomad. Many thanks to the NMC Student Union and the Royal Ontario Museum for their help and support in organizing the event and providing the venue. We are also grateful to have received generous financial support from the NMC department as well as the Dean’s Office at the Faculty of Arts & Science and the Arts & Science Student Union. Photographs were taken unless otherwise indicated by Lisa Milosavljevic – many thanks for the great photos! Blog written by Thomas H. Greiner. This entry was posted in Fall 2016, Workshop and tagged ancient egypt, culture, fundraiser, heritage, nmc, syria. Bookmark the permalink.